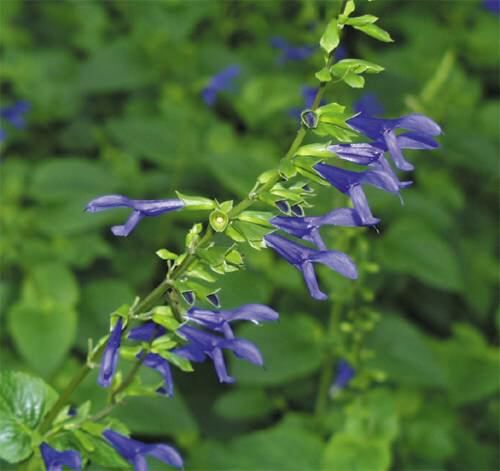 Giant Blue Sage, Salvia guaranitica, which grows in large clusters up to 2m in height, demonstrates that flowers don't have to be red to attract Ruby-throated Hummingbirds. This plant blooms best when cut back to ground level each fall. The photo was taken by Art Leat and submitted to the Operation RubyThroat Web site by Bill Wood of Keithville, Louisiana, in whose yard the plant--reportedly a variety called "Costa Rice Blue"--was growing.